We are developing an application to automate data collection for the physical function assessments that are normally measured manually by physical therapists or nurses. 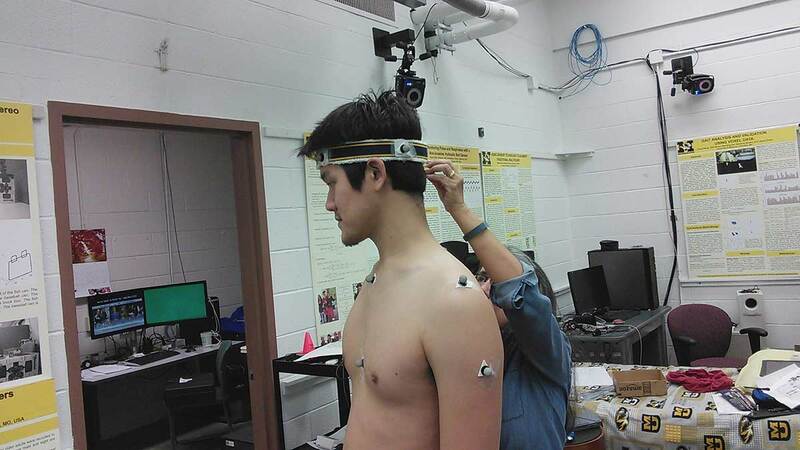 The assessment tool will be used every 6 months to assess older adults’ functional movement and range of motion as part of the Health Kiosk project. 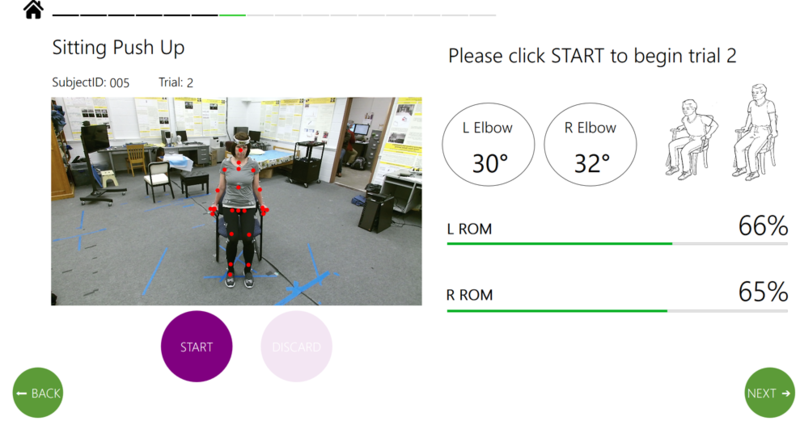 We use the Microsoft Kinect to capture the movement of subjects as they perform 16 different tests: Timed-Up and Go (TUG), Figure of 8 Walk, Balance tests, and various of range of motion tests for elbow, shoulder, hip, knees, and ankle. Once the subjects have completed a test, the results are shown in real-time and also stored in a secure database for further analysis purposes. An example is shown in Fig. 1. The accuracy of the measurement using Kinect Version 2 is validated against a Vicon marker-based motion capture system as shown in Fig 2. Hotrabhavananda B, Mishra A, Skubic M, Hotrabhavananda N & Abbott C, “Evaluation of the Microsoft Kinect Skeletal Data Versus Depth Data Analysis for Timed Up and Go and Figure of 8 Walk Tests,” Proceedings, IEEE Conference of the Engineering in Medicine and Biology Society, Orlando, FL, August 2016.